© Copyright Iain Lees and licensed for reuse under this Creative Commons Licence. Usually, I am met with vague answers. If the paragraph mentioned flying frogs, then one student might tell me “frogs.” I’ll ask, “Okay, so what about them?” She might then go into more detail and say, “Frogs are dying in the rainforests because of high levels of pollution.” I’ll say, “Great, but is that the main point of the paragraph, or was that just one detail?” She’ll admit it was a small detail. When I ask what a paragraph is about, I’m not asking you to tell me in your own words what each sentence said. I’m asking you to synthesize all the ideas in the paragraph, then determine the overall message or point. Don’t mention the small details to me. I’ll get bored to tears. Seriously, I’ve already read that passage a hundred times. You have to be able to discern the difference between restating the passage (sentence-by-sentence) and understanding the main idea. If I ask you what the paragraph was about and you begin giving me a play-by-play breakdown, that tells me you don’t know which parts are minor details and which parts are main points. This distinction is important because boiling a passage down to its essential element, the main point, is what many of the SAT questions focus on. If you’re so caught up in the details that you can’t figure out the main idea, then you won’t be able to answer any “so what?” type questions. So what was the effect of frogs dying in the rainforest? So what if rainforests are facing heavy pollution? Why do we care? Oh, because dying frogs are just one example of a faltering ecosystem whose collapse would mean the fall of many more ecosystems and the ultimate downfall of Planet Earth??! Hell yeah, that’s probably pretty significant! But if all you distilled from the passage is that there are frogs and pollution, then you’re going to have a bad time answering those tricky SAT questions. Trickier yet is the fact that occasionally, the main idea isn’t even ever directly stated in the passage. You won’t find a specific line that neatly summarizes the point of the passage. You have to piece together the main idea for yourself. For many, Marilyn Monroe is an unmarred legend of success. She was the girl every other girl wanted to be. She was the girl every guy wanted to be with. Certainly the quintessential Hollywood star’s existence was legendary. Today, some fifty years after her death, signs of her glamour are evident. A life-sized statue of her exists at the intersection of Hollywood and Highland. Countless pieces of artwork have been created in her image, even making their way to home décor wall hangings at mega retailers like Target and Walmart. Recently, a biopic about Marilyn was released in select theaters. 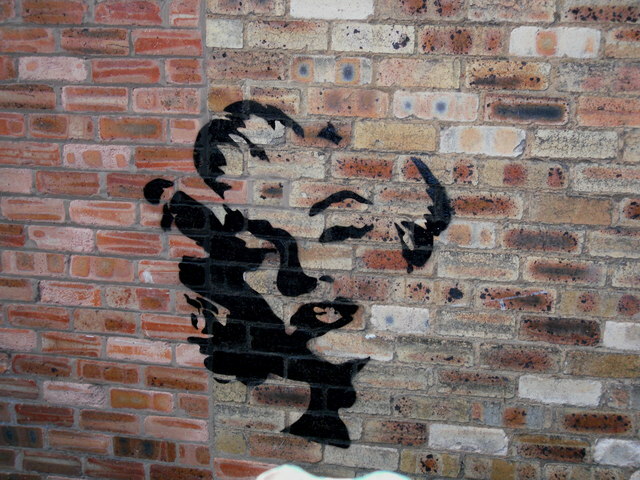 Today, Marilyn is immortalized as the tantalizing and seductive singer, actress, and model. She represents the pinnacle of stardom – a celebrity not only famous in her day but even decades later. It is hard to imagine Jessica Alba, Kristen Stewart, or other stars of today being remembered even ten years later. For many students, the obvious answer (remember, you should try to answer in your own words before looking at answer choices) might be “understanding Marilyn as a real woman, one with insecurities like everyone else.” That’s pretty much directly stated in the passage. And here’s the thing: it IS the right choice…if it existed as a choice. But none of the answers were quite what we were expecting, so you have to infer the PURPOSE of the Reeves quote. Ask yourself WHY the author included that quote, what FUNCTION does the inclusion of the quote serve? The correct answer is (D). The quote points out the fact that Marilyn had a troubled personal life and that “there is beauty in that too.” But the ROLE of the quote is to show that Reeves, a self-professed fan who knew Marilyn intimately as a historian, appreciated her both for her success and for her flaws. After all, he even says, “flaws and everything.” This is in stark contrast to the rest of the passage which talks about how people love Marilyn only for her success (no mention of flaws until the Reeves quote). Take a minute to figure out why the remaining choices are wrong too. Remember, it’s better to identify the wrong answers than try to justify a “correct” answer.